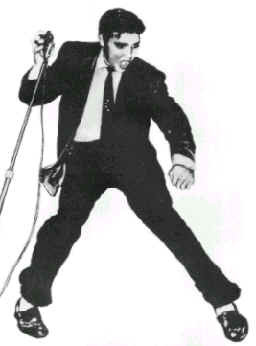 Without a doubt, Elvis is the most well-known of all rockabilly exponents. His legendary 1954/1955 Sun Studio recordings lead the way for other rockabillies and helped give birth to rock'n'roll. "The Sun Sessions" still constitute one of the greatest albums in rock history. Recorded by Sam Phillips in Memphis, Elvis, along with guitarist Scotty Moore and upright-slap bassist, Bill Black, created a totally new sound on such classics as "That's Alright Mama", "Mystery Train" and "Good Rockin' Tonite". The incredible sound created by these legendary men in the tiny Memphis studio has never been recaptured. 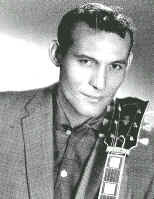 Carl Perkins was the quintessential Memphis Sun Records rockabilly. Dubbed "The Rockin' Guitar Man", his "Blue Suede Shoes", was, in 1956, the first disc to top all three (Pop, Country, Rhythm & Blues) trade charts. There is an enduring myth about Carl that he might just have been as big as Elvis Presley if he had not suffered severe injuries from an automobile accident at an early critical juncture in his career. Regardless, Carl went on to become perhaps the greatest rockabilly songwriter of all time. In the 1960's, Carl had more copyrights ("Honey Don't", "Matchbox", "Everybody's Trying To Be My Baby") covered by The Beatles than any other songwriter. Carl has continued to perform over the years and throughout his career he has never strayed from his original rockabilly roots. In 1986, Cinemax aired "Blue Suede Shoes: A Rockabilly Session with Carl Perkins and Friends", an "allstar" concert that included performances by Carl with George Harrison, Eric Clapton, Ringo Star, Dave Edmunds, Roseanne Cash, and Stray Cats - Lee Rocker and Slim Jim Phantom. In 1987, Carl was inducted into the Rock'n'Roll Hall of Fame and he was presented with the Career Achievement Award by the Academy of Country Music. In 1990, Carl was diagnosed with throat cancer, but early treatment was succesful in containing the malady. Carl had begun to perform again and he was working on his autobiography, however, his health worsened again. Mr. Perkins was interviewed for this film before he passed away in 1998 at the age of 65. Elvis Presley's original guitarist, Scotty played legendary, innovative rockabilly licks on all of the Memphis Sun Studio recordings and all of the best early RCA recordings such as "Hound Dog" and "Heartbreak Hotel". Scotty's unique guitar work has made him a number one idol among guitarist around the world. He inspired dozens of future guitar heros such as Keith Richards and George Harrison. Scotty's appearance in "Tear It Up!" marks the first time he has granted an interview in over thirteen years and this is the first time Scotty has been interviewed on camera. Scotty's association with Elvis in those early years has made him a prime target for journalist from around the world and the producer of "Tear It Up!" is proud to have Scotty's input for this film. Scotty has also recently made his first public performance appearance since Elvis' 1968 "comeback" television show. Assuming Scotty continues to perform, tens of thousands of worldwide fans will be sure to turn out for his shows. Known as "Mr. 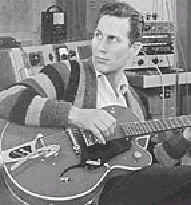 Guitar," Chet Atkins is the most recorded solo instrumentalist in music history. While Chet is not considered a "rockabilly", his original guitar style had a huge influence on many of the best rockabilly guitar players. Atkins' style grew out of his admiration for Merle Travis, expanding Travis' signature syncopated thumb and fingers roll into new territory. Rockabilly guitar pickers such as Scotty Moore applied Chet's style to create their own original rockabilly sound. Mr. Atkins was interviewed for this film before his death at age 77 in 2001. He expressed great enthusiasm for this project. Rocketing to fame in 1956 with the rock'n'roll/rockabilly classic, "Be-Bop-A-Lula", Gene Vincent was one of the most talented and certainly one of the wildest rockabillies of the 1950's (both on and off the stage). Gene's original group, The Blue Caps, included the phenomenal guitarist, Cliff Gallup. Cliff's complex style influenced a multitude of modern day guitarists including Dave Edmunds, Brian Setzer and Danny Gatton. Gene and his Blue Caps appeared in the 1950's classic Jane Mansfield movie "The Girl Can't Help It". 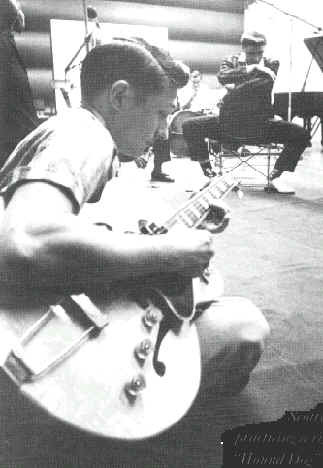 By the early 1960's Gene was heavily touring England and Europe with his good friend, Eddie Cochran. It was during this time that a young John Lennon, Paul McCartney and George Harrison got to meet their idol, Gene Vincent. Thereafter, Gene continued to rock Europe until 1971, when he died prematurely at the age 36 from the effects of poor health and alcoholism. Gene Vincent's incredible back-up group changed a few times during those early rockin' years. Gene's so-called "A-Team", however, is still going strong. Original Blue Caps, Tommy "Bubba" Facenda, Dickie "Be-Bop" Harrell, Johnny Meeks, Paul Peek and Bobby Jones, recently completed a successful European reunion tour. Thousands of Gene Vincent and The Blue Caps fans turned out to see their idols. Gene and The Blue Caps' original guitarist was the amazing Cliff Gallup. Cliff's picking offered some of the greatest rockabilly riffs ever played. His style was fast and complex. He was idolized by many younger guitarist. Jeff Beck is one of those greatly influenced by Cliff Gallup. In fact, Jeff Beck recently recorded a great tribute album that faithfully recreates the original sound of Gene Vincent, Cliff Gallup and The Blue Caps. 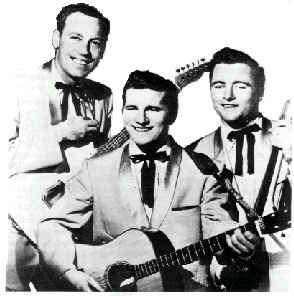 In 1956, brothers Johnny and Dorsey Burnette and their friend Paul Burlison recorded what has come to be regarded as the quintessential rockabilly sound. Known as The Rock'n'Roll Trio, their music captured a wild abandon that derived its roots from an exciting fusion of country music, swing and rhythm and blues. Many musicians over the years have been greatly influenced by the original sound created by Paul's guitar, Dorsey's slap bass and Johnny's primal yelp. Cover versions have been released by groups such as the Yardbirds and Aerosmith. The original 1956 Rock'n'Roll Trio album, which achieved little success in the 1950's, is now considered one of the greatest rockabilly recordings of all time. In the late fifties, Johnny and Dorsey Burnette scored big with songwriting for Ricky Nelson and the release of their own hit songs "You're Sixteen" and "The Tall Oak Tree". Sadly, Johnny Burnette was killed in a 1964 boating accident at the peak of his "teen idol" stardom. Brother Dorsey, died of a heart-attack in 1979. As the incredible guitarist for The Rock'n'Roll Trio, Paul contributed significantly to the new rockabilly sound with his unorthodox, frenzied and improvised style. Paul's innovative use of octaves and one of the first intentional uses of "fuzztone" (on the 1956 recording of "Train Kept A-Rollin'") are now legendary. Paul's guitar style came to the forefront of popular music when Aerosmith's cover version of "Train Kept A-Rollin'" hit the charts in the 1970's (The Yardbirds, featuring Jeff Beck, also had a successful cover version in the 1960's). Paul completed a guitar instructional video tape that shows guitarist how he played his legendary licks. The tape was produced and directed by Greg Wolske, producer and director for "Tear It Up! : The Rockabilly Documentary". Born in Dallas, Texas, Ronnie achieved local fame in the 1950's by winning the Big D Jamboree's weekly contest for new talent on no less than ten consecutive weeks. This gave him a chance to share the stage with established rockers like Johnny Carroll, Gene Vincent & The Blue Caps and Joe Poovey. Regional hits included "Action Packed" and "Rockin' Bones". During the 1960's Ronnie played on sessions that produced hits such as "Hey Paula" by Paul & Paula and "Hey Baby" by Bruce Channel. In 1987, Ronnie made his first tour of Europe and immediately won a reputation as the most exciting exponent of rockabilly music currently performing in that idiom. Carl Perkins, Sonny Burgess and Ronnie Hawkins are just a few of the legendary rockers who have had difficulty in following him on stage. Rockabilly is "cat" music and, to some, Cochran was the coolest of them all - a perfect blend of street savvy and technical prowess. It is important to keep in mind, though, that Cochran's influence goes well beyond rockabilly (a relatively small and early portion of his recorded work). 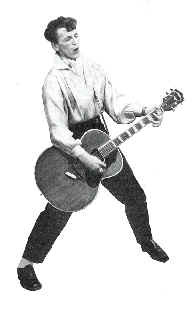 With the 1958 release of his classic "Summertime Blues" and "C'mon Everybody", Cochran contributed to the new instrumental and vocal tension surfacing in rock'n'roll music: biting bass lines punctuated with acoustic power chords, a rockabilly feel, and lyrics that struck a universal warm spot in the hearts of teenagers. Eddie's music and guitar playing heavily influenced great rockers such as George Harrison and Pete Townsend. Like fellow rockabilly Gene Vincent, Eddie landed a cameo role in " The Girl Can't Help It" that helped launch his career. Gene and Eddie became great friends in 1960 when they toured together in England. Tragically, Gene was also with Eddie the night of April 17, 1960, when their British taxi bound for the airport crashed, killing Eddie and seriously injuring Gene and Eddie's friend, songwriter, Sharon Sheeley. Eddie Cochran is still very popular in Europe today and his music and memory is being kept alive by his family, friends and fans. Recently, a monument and museum were dedicated and established in the town of Eddie's birthplace, Albert Lea, Minnesota.